All businesses, small and large, cover short-term financing through small business loans. The conventional loan system often appropriate for such businesses—but sometimes a business needs quick funding to operate unexpected financing. As advanced media promotes the money as a key solution, to deal with business challenges. Be mindful that, lending more than need can be cost-effective for small businesses, and could even put their capability at risk. In some circumstances, traditional bank loans are considered as a good lending option but take a long time to proceed. A long application process makes the procedure slower. You can be stuck waiting for weeks or even months to receive the funds from local banks. However, it might not be the best choice to consider bank loans, to meet the unexpected expenses or opportunities. Fortunately, in many cases, a rapid response to your loan application is available online – fast business loans. If your business based on particular equipment, irrespective of whether it’s a grilled oven critical to your restaurant, or a processing machine used for an apparel manufacturing process, every hour that equipment is down, these factors affect your business growth. Capital will be required to fix the business equipment. If you’re running a business from an old building, you might face poor and improper maintenance problems—sanitation, electrical, mechanical, and plumbing. It definitely causes more damages and costly repair work, if it left unattended. High cash flow is required to handle the building maintenance problems, as these expenses are unpredicted and need to be fixed right away. Business owners usually welcome the growing opportunities, but sometimes it comes up with overlooked expenses: hiring new staff like extra supplies, training, or need to buy office equipment. However, it’s not easy to anticipate the expenses associated with business growth. Extending a small business might be expensive, and depends on specific requirements of your business. Not all the instant news are the crisis. Sometimes, lenders offer unexpected discounts to the clients that they never refuse to take advantage of special offers. Through discount offers, you’re able to purchase quick-turnaround inventory or efficient equipment that will help to save your time. To get advantages of such opportunities, all you’re required to act fast without waiting for several weeks from traditional banks. 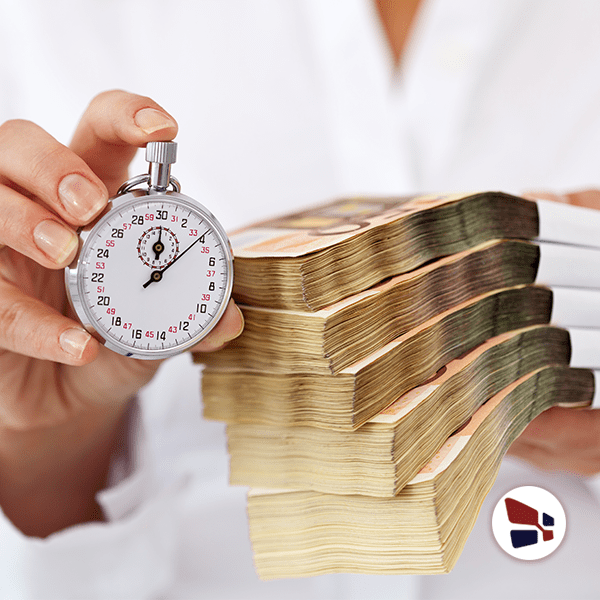 Some business requires fast business loans to cover unexpected expenses. According to a survey conducted by the Electronic Transaction Association, 63% of small businesses rely on online business loans due to quick funding response, and 57% cited as an easy application process. Moreover, small business loans charge a 5x return for every single dollar they lend to purchase inventory or equipment. Quick access to funds enables small business owners to consider these loans, to secure the capital for business development. Traditional banks usually ask for collateral and personal credit of a business owner, before funding. Considering the accurate small business loan can be tricky, but not if the Merchant Advisor is here to assist you. Lenders like Merchant Advisor offer loan from $5000 to $500,000—without collateral, no personal guarantee, and ease of early payoff discounts. After being approved for the loan, you receive funds on the next day. Come over to our website and apply for Fast Business Loans to manage your business financing needs. For daily updates and financial solutions, follow us on Facebook (@Onlinecheck) and Twitter (@Onlinecheck). In case of any query feel free to call on toll-free number (833) 827-4412 and our financial experts will assist you 24/7. You might have heard the phrase: You need money to make money. Here is everything you need to know about fast business loans.